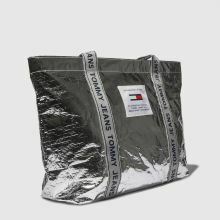 Store your essentials in statement style with this Tommy Jeans tote bag; perfect for travelling, shopping and everything in between. 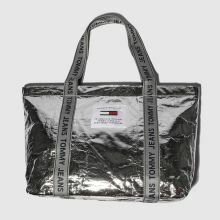 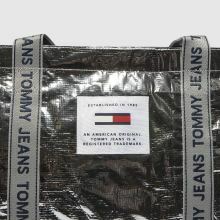 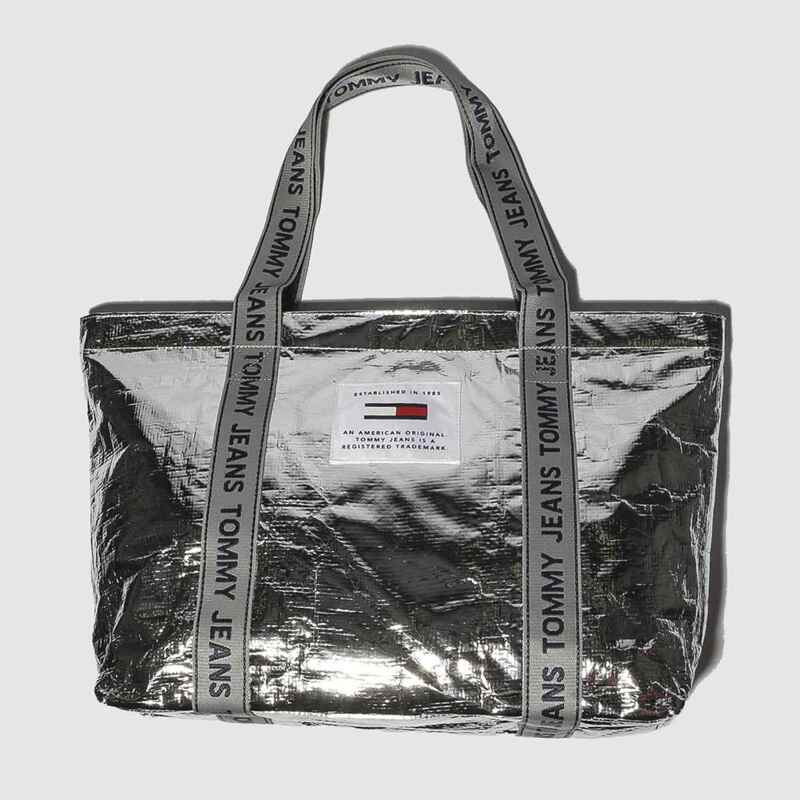 The Logo Tape Tote TP boasts a metallic silver man-made construction with repeat branded straps and panel. 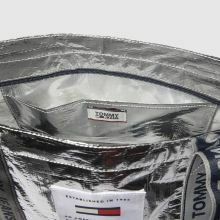 H32xW51xD12cm.